Windsor Castle has launched a series of new educational workshops for Key Stage 1 to 4 pupils as part of the Shakespeare400 commemorative events taking place this year. Students of all ages will have the opportunity to commemorate 400 years since the death of the famous playwright by engaging with his life and work in a specially designed schools’ programme, which will draw inspiration from works of art in the Royal Collection. Shakespeare: Play on Words for Key Stage 1 is delivered by an experienced educator in an historic space within the state apartments. This storytelling and role play session seeks to bring Shakespeare’s works alive for pupils in Years 1, 2 and 3. 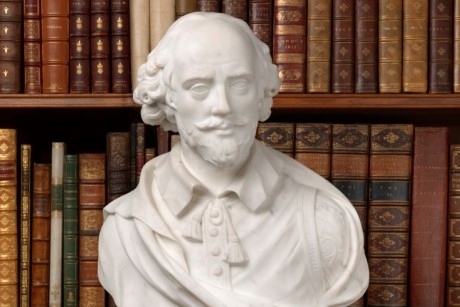 The many lives of Shakespeare for Key Stage 2 is an interactive creative writing session during which a published author will draw on real works of art and archival documents to inspire the writings of attending students. Also for Key Stage 2 is Shakespeare: Court in the Act, a Drama workshop delivered by an immersive theatre production company, using one of Shakespeare’s most famous plays – A Midsummer Night’s Dream – as a source of inspiration. Teachers are advised to contact Windsor Castle to discuss options for Key Stage 3 and 4 workshops by e-mailing joanne.lonsdale@royalcollection.org.uk. Each Windsor Castle workshop will be supported by a visit to a new display in the Drawings Gallery for 2016. Shakespeare in the Royal Library is a new exhibition, which will be open from 13th February until January 2017. Pupils can examine aspects of the playwright’s life, work and influence, and celebrate his longstanding connection with Windsor and the Royal Court. Shakespeare400 is a consortium of leading cultural, creative and educational organisations which will mark the 400th anniversary of Shakespeare’s death this year. Through a connected series of public performances, programmes, exhibitions and creative activities in the capital and beyond, partners will celebrate the legacy of Shakespeare during the quarter-centenary year. For further information visit www.royalcollection.org.uk/learning. (Photo credit: Royal Collection Trust, Her Majesty Queen Elizabeth II 2016).